A parkland style 18 hole course situated in the Southeast part of town. The Wichita Falls Country Club, recently renovated in 2008 by D.A. 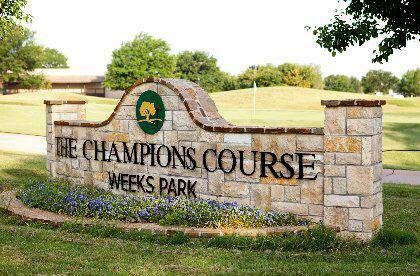 Weibring and Steve Wolford has mature trees, bent grass greens, and Bermuda fairways. The course which has five sets of tees; measuring 6917 yards from the back tee and 4827 from the closest tee gives plenty of options to all skill level of golfers. A full practice area on site that includes: driving range, pitching, chipping, bunker play and putting green is state of the art. The practice green is the same surface as the greens on the course which enhances the ability to practice likeable conditions. Out of bounds are defined by white stakes, fences, the inside edge of curbs and the roadway that runs through the interior of the course. Water hazards are marked by yellow lines or stakes, lateral hazards are marked by redlines or stakes. Proceed under rule #26. Photinia beds are an integral part of the golf course, no relief. Flower beds are played as ground under repair. Please play without undue delay. Out of bounds is defined by white and/or brown stakes. Yellow stakes define water hazards. Red stakes define lateral water hazards. Hole no. 6 – No play from right of the out of bounds stakes. Player will be responsible for any injuries sustained as a result of playing in the out of bounds area. No starting on 10th tee without permission. It is a violation TBAC Law to bring alcohol beverages onto the property of Weeks Park Golf Course. Anyone violating this law will be asked to leave the course without a refund of fees. Cart Rules: 90 degree rule unless posted cart path only. Keep carts on paths near green. Only two riders per cart. Carts are not allowed outside parameter of course. Shirts and shoes must be worn on the course at all times. No tank tops or cut-off shorts allowed. Stopping at turn will result in loss of position on golf course. Weeks Park pace of play is four hours and thirty minutes (15 minutes per hole). Please keep pace with the group in front of you. Sixsomes are not allowed unless permission is given by management. If severe weather/lighting is in the area, all play must cease. Please take cover. Please Note: The yardages provided are approximate and there may be some variance.